Where do we use compressed air to benefit our society? Where do we use compressed air? Compressed air forms a huge part of the industries and businesses that make up our economy. Lancashire County Council recently introduced spray injection machines as part of a £23m road maintenance budget, which is said to fix up to 60 potholes per day. This measure is no doubt a welcome relief to Lancashire road-users, not to mention a surprising innovation for many people. In fact, compressed air is used in many unusual ways that we are sometimes unaware of. It is used for manufacturing purposes, pharmaceuticals and in retail environments. It is often an invisible presence – quietly enabling industries to run smoothly and effectively, unbeknown to the vast majority of the population. Glaston Compressor Services has designed and installed hundreds of bespoke compressed air solutions across the North West, to keep our industries running. Read on to find out how compressed air is used throughout our region. Manufacturing covers a lot of ground, and Glaston Compressor Services has been a part of many system installations and services across this sector. Our engineers were called upon to improve the compressed air system for the large steelworks factory in the Midlands. The inverter drive was found to be blown during a routine audit, so Glaston assessed the objectives and circumstances of this particular case in order to find a suitable replacement. Compressed air usage in manufacturing can make all the difference between a smooth and efficient process, and one which performs poorly and costs the business money. 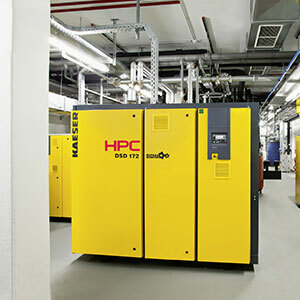 In this case, our engineers were kept to restore the compressor system to a more efficient state than it had been previously, installing a new retrofit inverter with three-phase induction motors and excellent speed control. The use of compressed air in the food and drinks industry is incredibly varied. Compressed air is used in breweries, pubs and clubs to both brew the ale and supply that same ale to the relevant pumps for consumption. The use of compressed air in the food industry also includes running the machinery used for food production, and the manufacturing process of food packaging. The food industry also uses compressed air for cleaning and hygiene purposes. Our engineers were recently called out to a North West hospital to improve the compressed air supply in the busy laundry room. The existing air had a damp quality and this had the potential to cause production problems, as well as affecting the environment for staff and patients. We installed new desiccant dryer equipment alongside the existing compressed air supply. This had a positive impact on the hospital, improving processes and working conditions for those using the laundry room. 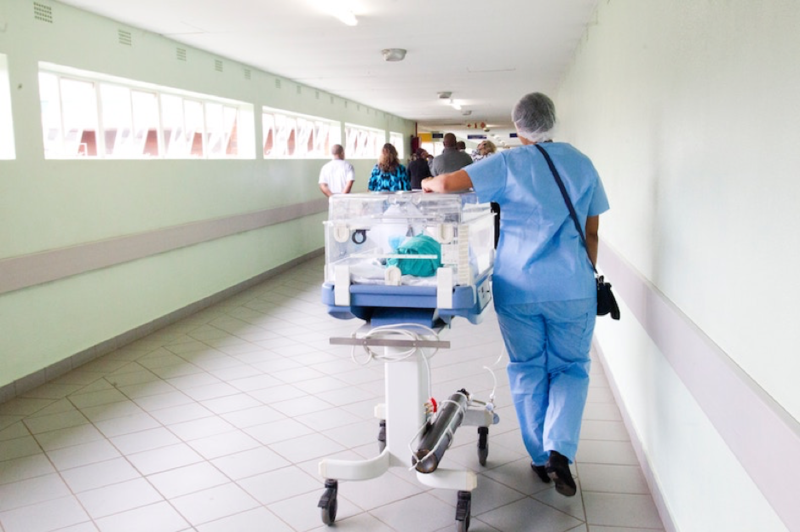 Compressed air used in hospitals fulfil other purposes too, such as for breathing apparatus and aiding surgical procedures. Compressed gas can be used for cleaning and purifying medical instruments. If you’d like to use compressed air to improve your business processes, contact an expert engineer today for a personal quote on 01695 51010.